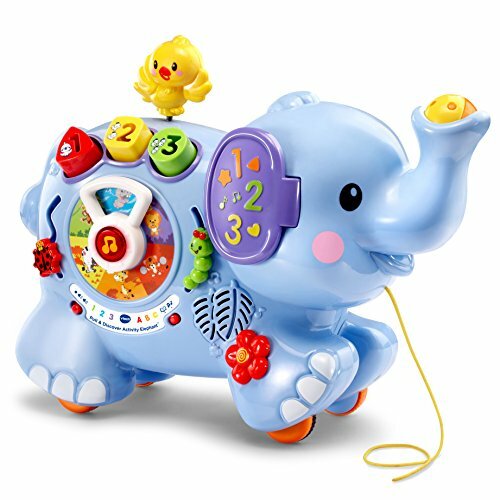 Top Learning Toys for Toddlers - 2019 Best Toys to Boost Those Brains! When toddlers discover their legs and leave babyhood behind, it’s time to introduce them to some of the top learning toys for toddlers. With the newfound ability to walk and run, there also comes a longer attention span and an increased ability to focus. Why not take advantage of these with some entertaining learning toys that will keep your little one planted for a few minutes? Here are our picks of toddler toys that encourage these skills and will help your toddler’s brain cells develop as quickly as those leg muscles! In a hurry? >>> Check out our current favorite learning toy for toddlers right here! His ears flap when pulled! He’s new on the market, but so far, parents and little ones are loving this adorable learning toy for toddlers! Blocks have been among the best learning toys for toddlers for generations. It takes some cognitive thinking skills to stack those puppies just right! 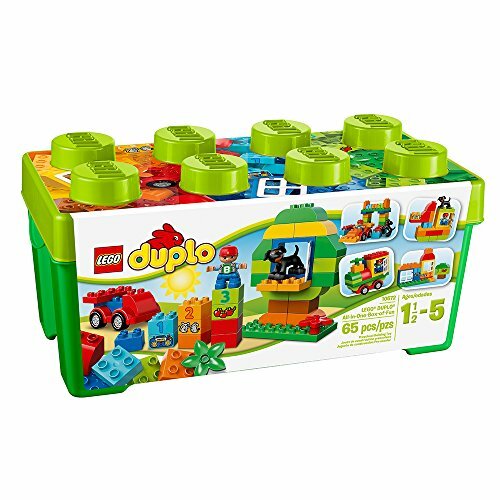 The DUPLO blocks have been around for ages, but they are still one of the top learning toys for toddlers! Below are some other block sets that are excellent learning toys for toddlers. The Mega Bloks Build ‘n Learn Table provides a nice, large, sturdy surface for toddlers to build on. Plus, it comes with colored blocks featuring letters and numbers that are similar to the DUPLO blocks. The wooden blocks pictured in the center have numbers, letters, objects, words and even math signs. If you click the link to go to Amazon, you can see pictures of all the sides. These are nice too, because they are a little larger than other wooden blocks. And the Match and Build Soft blocks on the right have peek-a-boo surprises and picture matching games to further toddlers’ thinking skills. 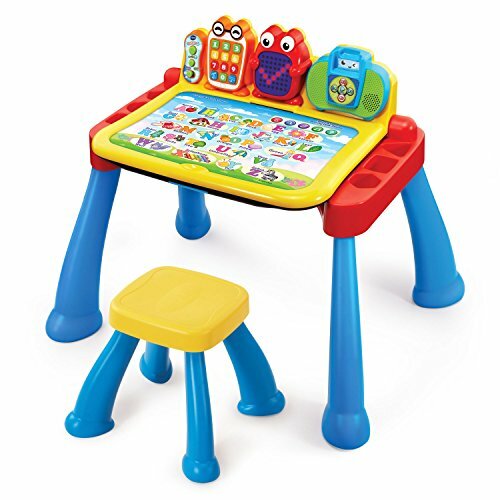 The Deluxe Touch and Learn Activity Desk by VTech holds tons of learning opportunities for toddlers! Desktop converts to chalkboard and easel! 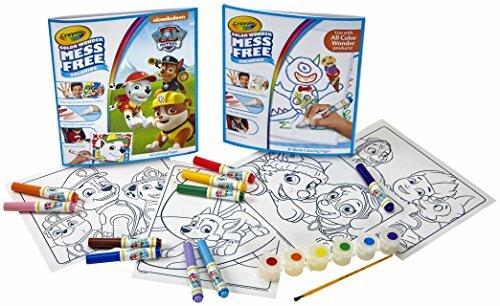 Best learning toy for 2 year olds! There are so many entertaining ways to learn with this one little desk, that toddlers will never be bored with it! And there are expansion packs for reading, math and kindergarten preparation, so your child can continue to learn from it up to 5 years old. Parents have great things to say about this toy! For all of these reasons, it makes our list of the top learning toys for toddlers. Learning toys for toddlers come in all sizes. 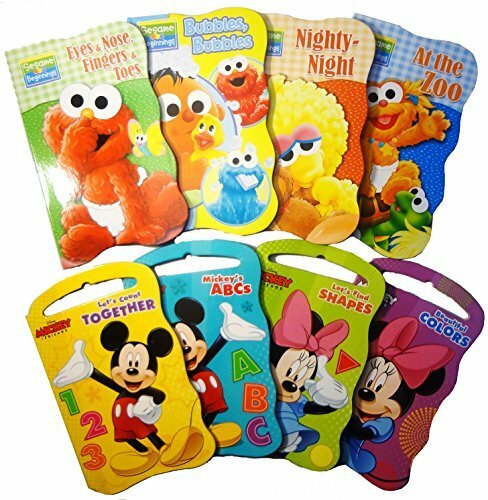 Below are a few smaller sized electronic learning toys that teach counting, letters, words, colors and a variety of other things. These all have great ratings and are portable, too! We feature activity cubes in our best toys for babies article too, because they are such versatile toys! This engaging top learning toy for toddlers will last for years and hold up under multiple kids! Below are three more educational activity cubes for toddlers. They are all so cute and colorful, you won’t mind keeping them out in the living room! 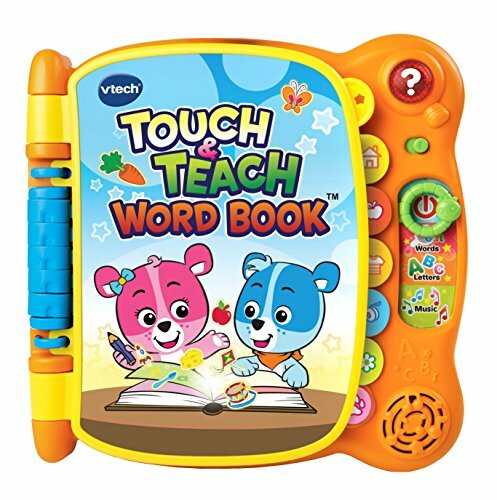 Parents are raving about the Touch & Teach Word Book by VTech! Toddlers love to be read to and this interactive book keeps them captivated as they listen and react to the words and songs. Besides all the instructional value of this top learning toy for 2 year olds, it’s also a great price! Below are a few other electronic books that help toddlers with language skills and color and letter recognition. These are all getting great feedback from parents as well. 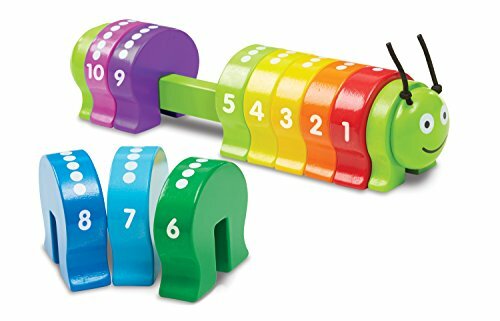 The Melissa & Doug Counting Caterpillar encourages that repetitious play that toddlers love so much. Durable wooden toy that will last! On top of all these pluses, this cute little learning toy is inexpensive too! 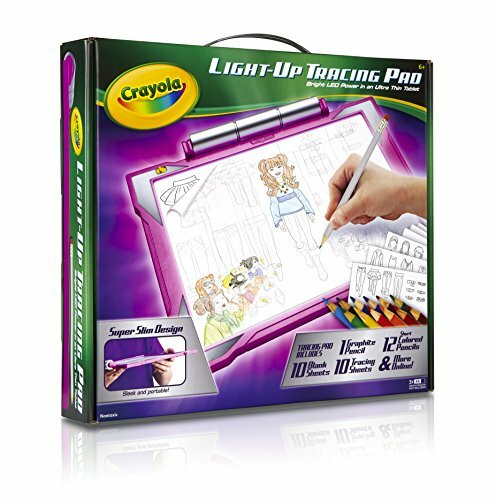 Below are a few more, similar learning toys for toddlers that parents like. 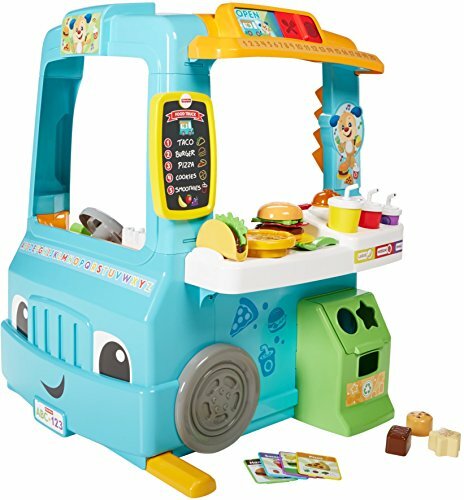 Fisher-Price consistently releases top learning toys for toddlers and one of their newest additions is the Laugh & Learn Servin’ Up Food Truck. This toy combines pretend play with learning activities for a super entertaining and educational toy that toddlers are loving! Here’s some great features of this toy. There are so many ways toddlers can play and learn with this toy, that it’s our current favorite learning toy for toddlers! Below are a few more top learning toys for toddlers that are similar to the Food Truck. They are all loaded with learning activities that help toddlers learn colors, counting, letters and more. The Laugh & Learn Smart Chair is one of the featured toys in our article about the best educational toys for babies. Since the ages overlap, you’ll find some good learning toys for toddlers in that article as well. Wooden puzzles are marvelous learning toys for toddlers! The Melissa & Doug Wooden Chunky puzzles will capture your toddler’s attention with their bright, happy colors. Here’s a few reasons I love these puzzles for toddlers. Quality wooden toys made to last! It’s hard to find good wooden puzzles for toddlers. Most wooden puzzles are rated for ages 3 and up because the small pegs on the pieces could come off and pose a choking hazard. have extra large pegs, safe and easy for little hands to grasp. These are rated for toddlers age 12 months and up. 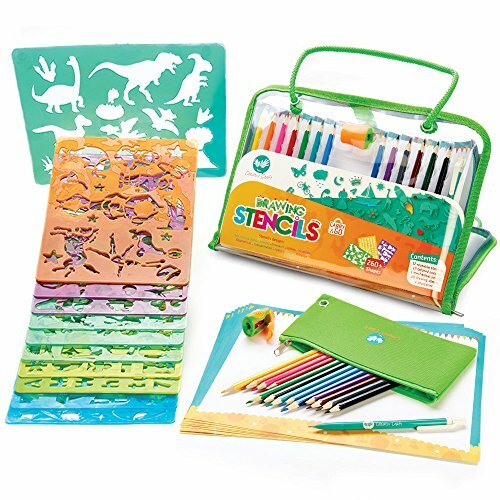 There are also the Melissa and Doug Fresh Start Wooden Puzzles which have chunky pieces that are raised up, so they are easy to grasp without a peg and perfect for toddler hands. These are rated for toddlers age 24 months and up. 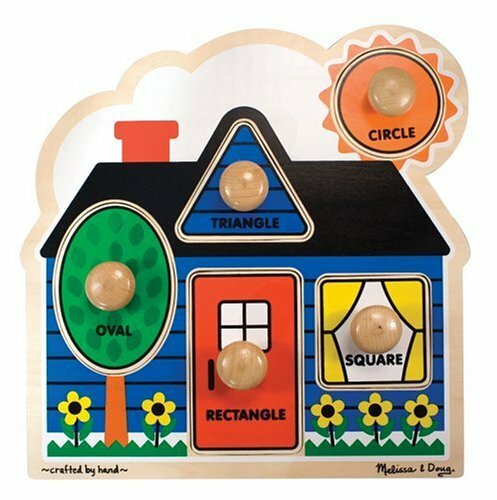 Below are a some of the highly rated Melissa & Doug Fresh Start Wooden Chunky puzzles that are excellent learning toys for 2 year olds. You can check out the whole selection of super cute Melissa and Doug Wooden Chunky Puzzles here. These are rated for the age range of 12 months to 5 years. Just look for the Jumbo Knob or Fresh Start puzzles for the toddler age range. The Learning Journey brand also makes quality learning puzzles for toddlers. 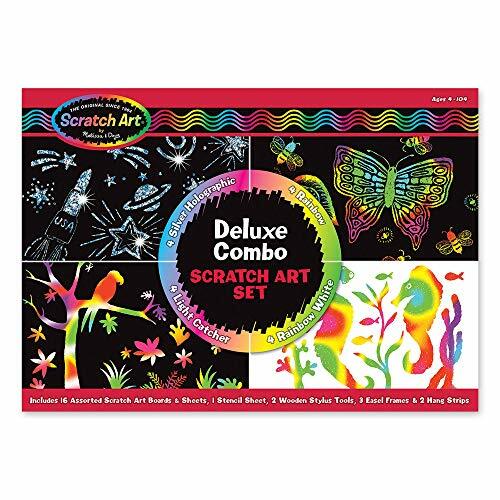 Their puzzles are very thick cardboard with bright, appealing pictures. Their My First Match It series are 2 piece puzzles where toddlers have to match two parts to create the whole object. There are several different categories, like colors, pets, foods, etc. Each set comes with 15 puzzles in a box. These are getting great reviews and are very well priced, putting them on our list of the best learning toys for 2 year olds. Below are a few of their popular sets. 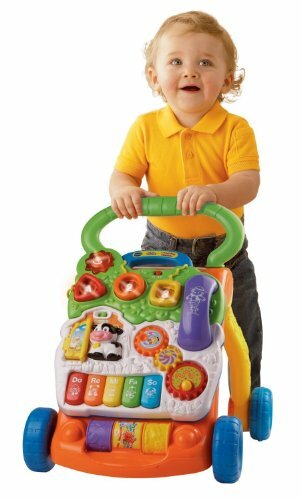 The VTech Sit-to-Stand Learning Walker is a HUGE seller! When toddlers get tuckered out from pushing it, they can take a breather and absorb all the learning activities it has to offer. Here’s some reasons why this top learning toy for toddlers is getting such great reviews. Removable panel for floor play! This toy has so many educational and fun features, it’s no wonder parents and toddlers are absolutely loving this toy! I like toys with multiple functions because it’s like having several toys in one, so you really get more bang for your buck. Below are some more top learning toys for toddlers that are also walk or ride-on toys. The Hape Wooden Turtle Shape Sorter Pull Toy is a good one because it’s cute, durable and two toys in one. I also like the Melissa & Doug Dump Truck Shape Sorter for all the same reasons. This Barnyard Shape Sorter is a winner too, because it also has animal shapes and a handle to carry it. It’s a great price too! , to find the right one for your toddler. 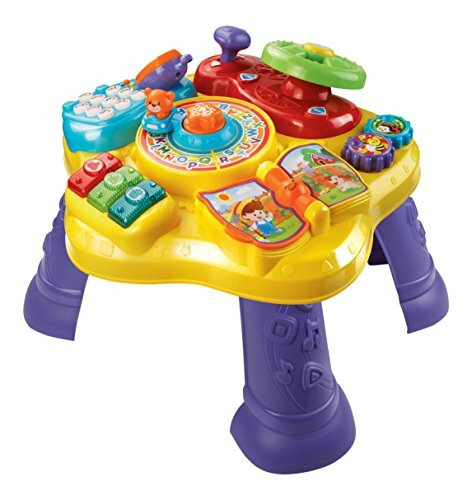 Activity tables, like this VTech Magic Star Table, offer tons of learning opportunities for toddlers. Most of them convert to a floor toy for younger babies too, which is nice. We feature activity tables in our holiday toy guide of the best baby toys because I like them so much! Here’s some features of this VTech activity table that make it one of the best learning toys for toddlers. Users love this activity table! And because it’s rated for babies as young as 6 months and on into toddlerhood, parents get lots of use out of it! Below are a few other highly-rated activity tables that are top learning toys for toddlers. What’s better than snuggling with your little one for story time? These Toddler Beginnings Board Books are terrific for combining story time with learning. Here’s some more reasons I love these books. Great price for all 8 books! The pages are colorful and the stories short enough that toddlers can easily follow along too! Below are some other really nice board books with high marks from parents. Lots of ways to practice fine motor skills! Parents are loving this toy and many are saying it really holds their toddler’s attention, making it one of our top learning toys for toddlers! Toddlers learn important lessons from all kinds of play, whether it’s pretend play with toy kitchens or outdoor water play or any other kind. 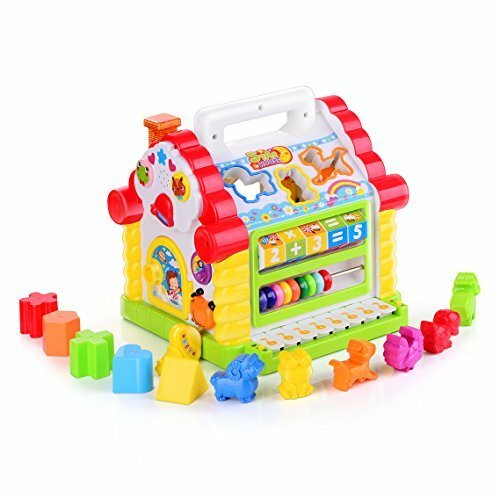 But the toys listed here will give your toddler a good start to learning the basic concepts taught in preschool – namely, colors, letters, numbers, object recognition, language and other skills.